Infrastructures, even in "smaller" companies, are becoming increasingly complex and unmanageable. 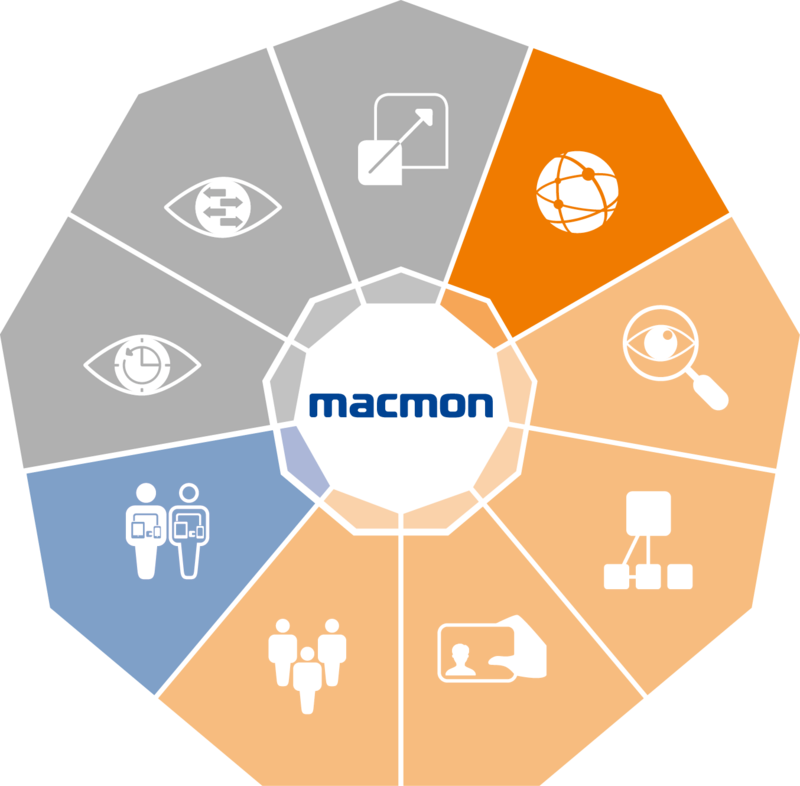 macmon's Topology provides you with a graphical representation of your network, allowing you to see at all times which devices are connected. If, as is the case in most networks, the network as a whole is split into virtual networks and error analyses are to be conducted there, this not only becomes complex, but it can also lead to serious errors when it comes to decision-making. This is exactly where macmon helps. The graphical topology display within macmon Network Access Control is therefore the ideal choice for regaining an overview of the networks. Information that is detected by macmon in each network is thus conveniently and automatically visualised. However, in addition to displaying the data, the option to use it effectively in graphics is also a decisive advantage. By filtering the devices properties, you can seek out configuration errors or make certain constellations, such as the connections, more readily visible. This means that, for example, all switches that recognise a specific VLAN are simply highlighted and selected – at the same time, the devices that do not (yet) recognise the VLAN being searched for are brought to your attention. This overall overview is completed with an overview of all of the VLANs that are recognised by the relevant device and its direct neighbours. Missing uplinks between network components can also be set manually. Especially in large networks, the integration into reporting also proves to be a very important asset – simply filter according to a specific location, for example, and create a separate view based on this so that you can obtain a more effective overview. Furthermore, the created views can be saved, updated and exported so that they can be processed further with Visio or other SVG tools, for example. Requirements from revisions and audits after a network is displayed can therefore also be fulfilled in the process, while the network overview increases enormously, and it is significantly easier to plan expansions and conversions. Thanks to the intelligent combination of 802.1X and SNMP technologies within macmon, the graphical topology display is also available to you if you implement the access controls comprehensively using certificates. This means that with macmon, using new technologies does not entail losing functions from older, tried-and-tested technologies. The graphical topology is a component of the macmon Network Bundle and is therefore directly available to all macmon Network Bundle customers.